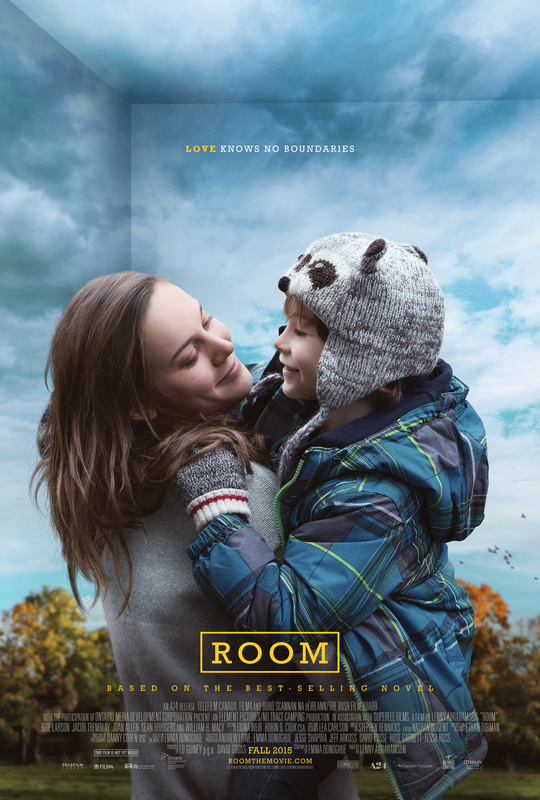 Brie Larson (‘Short Term 12‘) stars as Ma, the loving and devoted mother to 5 year-old Jack (Jacob Tremblay). Their life together is in many ways like any other mother-child’s, but with one difference, Jack has never been outside of the 10 x 10 ft windowless space that serves as their home or “room” as Jack knows it. Ma does all she can to ensure Jack has as normal and fulfilling life as she can create in their confined area. The truth about their existence, that his mother was kidnapped at 19, which was 7 years ago, by the only other person Jack has ever seen, Old Nick (Sean Bridgers) has been kept from his unprepared mind. Events lead which allows the attempt of a chilling escape and then, maybe the most terrifying thing for Jack, the real world. Also appearing in the movie are Joan Allen and William H. Macy. The film releases November 6th. This entry was posted on Thursday, July 30th, 2015 at 12:58 pm	and is filed under News. You can follow any responses to this entry through the RSS 2.0 feed. You can skip to the end and leave a response. Pinging is currently not allowed. « Film Review: ‘Irrational Man’! It's never necessary to tell me that you think I'm right. We'll just... assume it.